thebakerwhocooks.net | Well have you ever? Have you ever come across innovative products that blow your mind? I know I have. And most of the time, it’s got nothing to do with food. But lately, I’ve had some interesting encounters with really creative versions of edible products. Take Nutella for example. JF brought this Nutella Snack & Drink thing from his trip to Europe and you should have seen the look on my face! I absolutely love Nutella and was rather tickled when he showed me this compartmentalised Nutella & Drink version of something I’m so familiar with. I mean, I don’t know if it’s right to call it weird or just plain intriguing. On second thought, I think it’s ingenius. 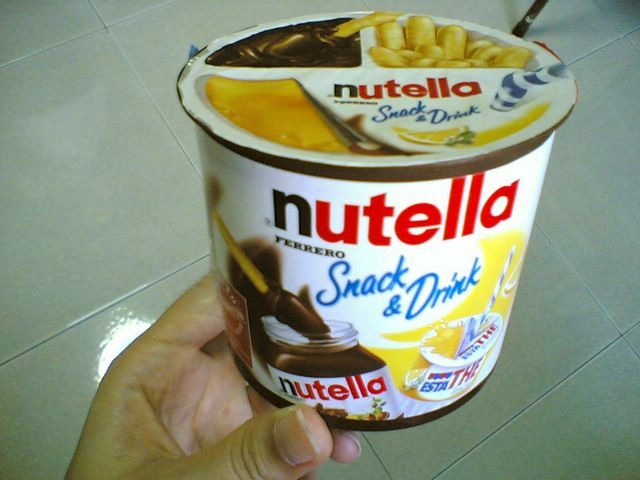 So now you can have your nutella, and juice to quench your thirst too. And both come in one convenient package. Ah, the wonders of the human mind. I really don’t know what to say. I mean, there’s a thin line between freaky & fun. I do understand that it can be dangeous for kids to handle a hot applicance like an oven but surely it can’t be that bad? Who eats cake which haven’t been baked? Unless it’s cheesecake or something totally NOT raw. The weirdest thing is that I found this package at Art Friends, this art & craft supply store at Bras Basah Road. It wasn’t even a baking shop or a supermarket! Oh man, what’s the world coming to? I really should buy that and try it for myself. Just hope that I don’t get poisoned! Talk about being inventive. Alas, I don’t think even Ferran Adria or Pierre Herme would approve of this. Have u tried nutella ice-cream? It’s good! Babe, just saw u in the papers! haha..
Nutella drink…sounds nice, if it tastes anything like the spreadable nutella. I’m not sure about the instant cake though. 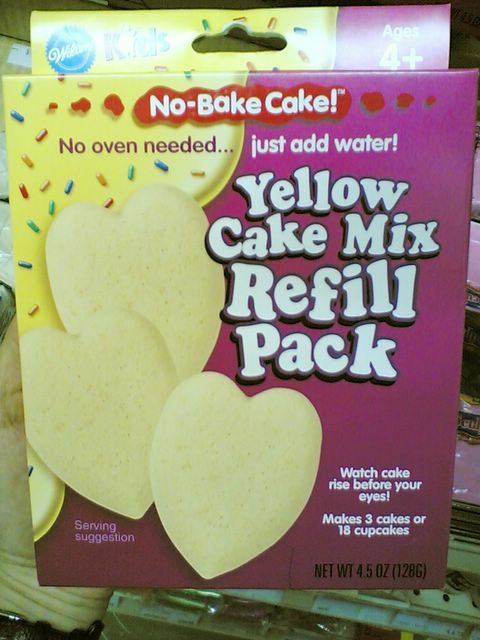 The “no oven needed” part kind of scared me. Did you try it? was it even edible? Well whatever or however it turned out that “cake” sounds dodgy. i really want to try that Nutella thing. YUM!